Silex Clouds S.R.L. is centered on the provision of valuable information derived from complex satellite image processing techniques and GIS procedures, in Near Real Time (NRT) and in interoperable formats, oriented to the monitoring of different earth phenomena and to speed up an impact assessment analysis. We also develope scripts for the automation of image processing workflows. These automatic procedures guarantee an easy ingestion of EO information in end-users systems by IT specialists by simple API requests. Dust is the lesser acknowledged factor that significantly influences the performance of Photovoltaic installations. Few studies analyzed this effect and the consequent efficiency degradation. SILEX Clouds Dust datasets uploaded to the end-user cloud space, gives the possibility to correlate Solar Parks performances with this phenomena in Real Time, with complete reports every 5 minutes. Four main factors influence the soil reflectance in remote sensing images: mineral composition, soil moisture, organic matter content and soil texture. Size and shape of the soil aggregate also influence the reflectance in the images. Soil datasets allow the discrimination between the moist and dry soils, and the analysis of trend thanks a continuos and automatic field monitoring . Vegetation interacts with solar radiation in a different way than other natural materials. Different plant materials, water content, pigment, carbon content, nitrogen content, and other properties cause further variation across the vegetation spectrum. Vegetation Datasets, put into evidence these variations giving the possibility to study their relationship to one another that can provide meaningful information about plant health, water content, environmental stress, and other important characteristics. As Project Managers for several CMES & Disasters Charter activations, we participated during last years developing added value maps that helped to evaluate and monitor the impact of different natural and antropogenic disasters. Silex Clouds S.R.L. 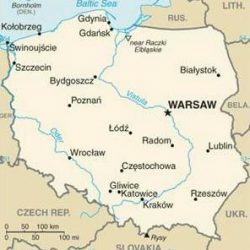 is centered on the provision of valuable information derived from complex satellite image processing techniques and GIS procedures, in real or near real time and in interoperable formats. For a real time approach, we process satellite images acquired by meteorological geostationary satellites (EUMETSAT, GOESS, etc.) and Sun-synchronous satellites (Landsat, Modis, Sentinel, etc,). The high time imagery resolution guarantee a continuous monitoring of the phenomenon. The time and spatial resolution of the final products varies depending on the EO system capabilities. Support to Solar Power plants via Real Time potential soiling presence and forecasting for extended MENA region. 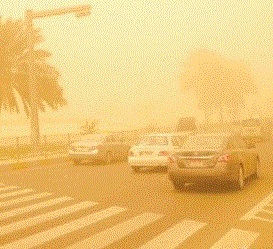 Real Time dust storm monitoring and Impact Assessment for extended MENA region (temporal resolution: 5 minutes). Fire monitoring (support to tower mounted services), Oil Spill monitoring (with machine learning assistance). SAR interferometry to Floods monitoring and damage assesment. The EARSC competition European EO Product of the Year rewarded SILEX CLOUDS S.R.L. which has developed a product which will support the implementation of the UN Sustainable Development Goals (SDGs) at national, regional and/or local levels, and the monitoring and reporting against the global indicator framework . EARSC represents the Earth Observation geo-informtion services companies in Europe. Today EARSC has 96 members coming from more than 22 countries in Europe, including both commercial operators of EO satellites, IT, downstream and value-adding companies. DFMs provides an historical analysis of Dust storm occurrences for the last 12 years. The values represented in this product are based on a Dust Load Index (on the base of an historical/statistical analysis from the processing of thermal bands, evidencing an estimation of dust charge). Daily PV energy losses along a year caused by dust deposition can be from 5% to 30%. As an unalterable environmental factor, the possibilities to manage the impact of this phenomenon are focused on: the identification of dust historical distribution, and the real time monitoring and forecasting. In this case, the Dust Frequency Maps present a clear value proposition offering the identification of the most favorable sites for the installation of new plants, as a guide to support investment decisions. Apart from its application to support PV soiling monitoring applications, Dust Frequency Maps can support logistics activities, or assist humanitarian institutions. Silex Clouds S.R.L. highlights the need to facilitate access to information obtainable from satellite data. Despite the enormous amount of remote sensing data currently available, their use by end-users is still significantly reduced. It is therefore proposed to increase the efficiency of the processes for the generation of information obtained from satellite data, creating a service aimed at providing information in real time, facilitating the accessibility and ingestion of these products in end-users systems (i.e. : API requests), giving at the same time the possibility to differentiate services companies portfolios with innovative added value products. Silex Clouds S.R.L. see several SDG as those related to Energy, Climate Change and Cities, as the challenges to which can contribute the most: Goal 7 (energy): helping to improve the efficiency in the management of the renewable energy infrastructures and best potential locations. Goal 13 (climate): helping to identify changing weather patterns and with the full DMS the real time monitoring of extreme dust storm events. Also giving support for erosion and soil degradation monitoring and impact on agriculture. Goal 11 (cities): helping to deal with challenges related to cities infrastructures and services, as transport systems. Providing support to improve road safety, identifying most impacted areas and its seasonality. Silex Clouds is an innovative italian start-up promoted in 2017 by a group of researchers from the University of Rome related to Aerospace Engineering, Remote Sensing technologies and Geographic Information Systems management. Based on our experience, we offer a set of services related to the exploitation of Earth Observation (EO) satellites datasets. Research & Development professionals in different fields of expertise, related to Remote Sensing and Geographic Information Systems Management, Geology and Biology. The Copernicus Accelerator is a project of the European Commission’s DG Growth, and is part of the Copernicus Start-up Programme, which is designed to accompany start-ups from the generation of a business idea to its full commercialisation. ONDA DIAS is a platform enabling users to host data and to build their applications in the Cloud. ONDA is the name of the Serco Italia S.p.A. led consortium selected to provide the Copernicus Data and Information Access Service (DIAS). 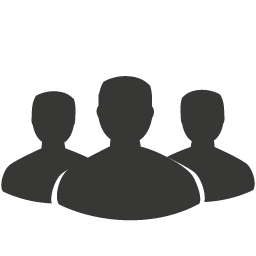 Mainly working with a B2B approach, our target is focused on Managers, Analysts, Companies, or researchers from sectors as: Agriculture, Insurance, Early Warning and Disaster Management, and Renewal Energies, among others. Dust and sand storms led to low visibility resulting in accidents reported on internal roads. SILEX Clouds services, inlcudes the analysis in Near Real Time of the number of km. impacted by dust, and a map of affected roads. The dust pollution consists of tiny dust particles that in penetrating the respiratory system can irritate the lungs and blood vessels and cause particular problems for susceptible population groups such as the elderly, the chronically ill, pregnant women and infants. SILEX Clouds services, include in datasets related to the coordinates of Chad refugee camps locations. The number of hours of impact in this risk help to take early warning measures. NASA Aeronet inversion code provides aerosol optical properties in the total atmospheric column derived from the direct and diffuse radiation measured by AERONET Cimel sun/sky-radiometers. SILEX Clouds Remote Sensing datasets can provide additional information for several researches related to air quality assessment. Accumulated Dust is the lesser acknowledged factor that significantly influences the performance of photovoltaic (PV) installations. Few studies analyzed this effect and the consequent efficiency degradation, and the effects are not clearly quantified. Remote Sensing Datasets help to quantify, analyze and understand better potential trends. 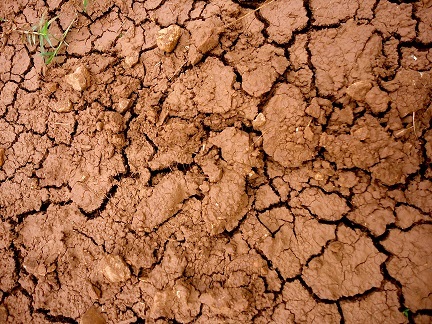 Soil Degradation. Dust storms cause soil loss from the dry lands, and worse, they preferentially remove organic matter and the nutrient-rich lightest particles, thereby reducing agricultural productivity. Also the abrasive effect of the storm damages young crop plants. A continuous satellite monitoring of soil conditions help agricultural analyst to measure these changes. 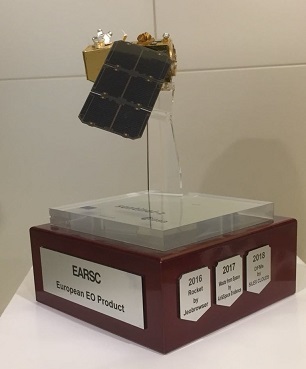 Silex Clouds SRL is a Full Member of the European Association of Remote Sensing Companies (EARSC), a professional industrial body (trade association), based in Brussels, formed in 1989, with more than 100 members from throughout Europe. EARSC mission is to foster growth of the Earth-observation (EO) services sector. Hebei is a province of China in the North China region. Beijing and Tianjin Municipalities, which border each other, were carved out of Hebei. The province borders Liaoning to the northeast, Inner Mongolia to the north,Shanxi to the west, Henan to the south, and Shandong to the southeast. Bohai Bay of the Yellow Sea is to the east. Several agricultural regions of interest have been included in SILEX Clouds automatic processing chain. In this case, Landsat-8 and Sentinel-2 imagery are automatically processed to monitor growth stages of wheat and corn fields, among others. Algeria region of interest was included in SILEX Clouds automated processing chain of Dust Storm Monitoring and OpenStreetMap assessment. This service provides each 15 minutes the amount of km. affected by dust by OSM Highways road type. A new region of interest was inlcuded in the automatic processing chain. correlation of dust features with Aeronet Stations.